So by now, anything orange is out. In decorating for the holidays that is. I bought an armload of pumpkins with the intention of eating them before Christmas decorating began. Lo and behold, I found five mini pumpkin stragglers stuck in on a side table centerpiece. They were so, well, orange. My colors this year are lime green and burgundy. Quite traditional, don’t you think? 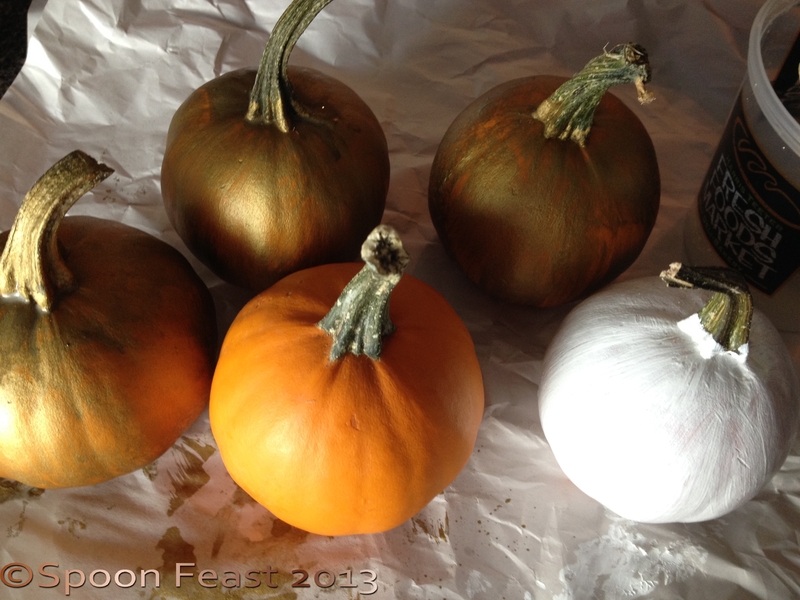 These pumpkins, while still nice shapes, firm and pleasing to look at, they were still so orange. So I painted them. 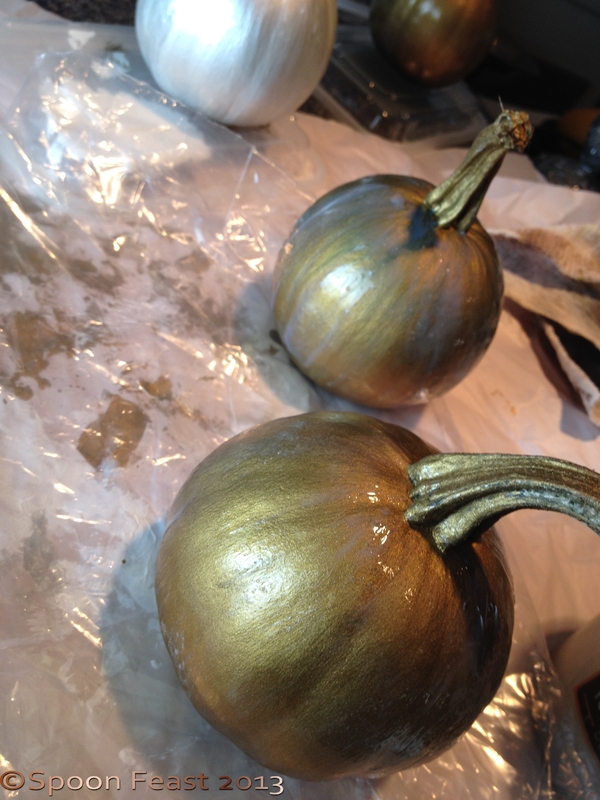 I painted them gold and silver. 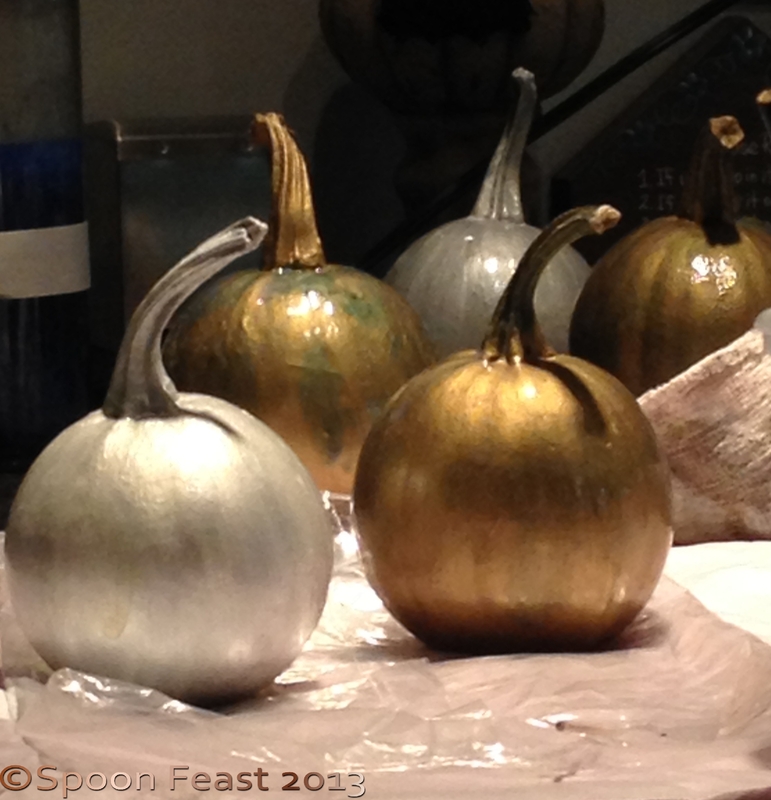 The silver required a white base coat to cover the orange but the orange on the gold ones became an “inner glow”. 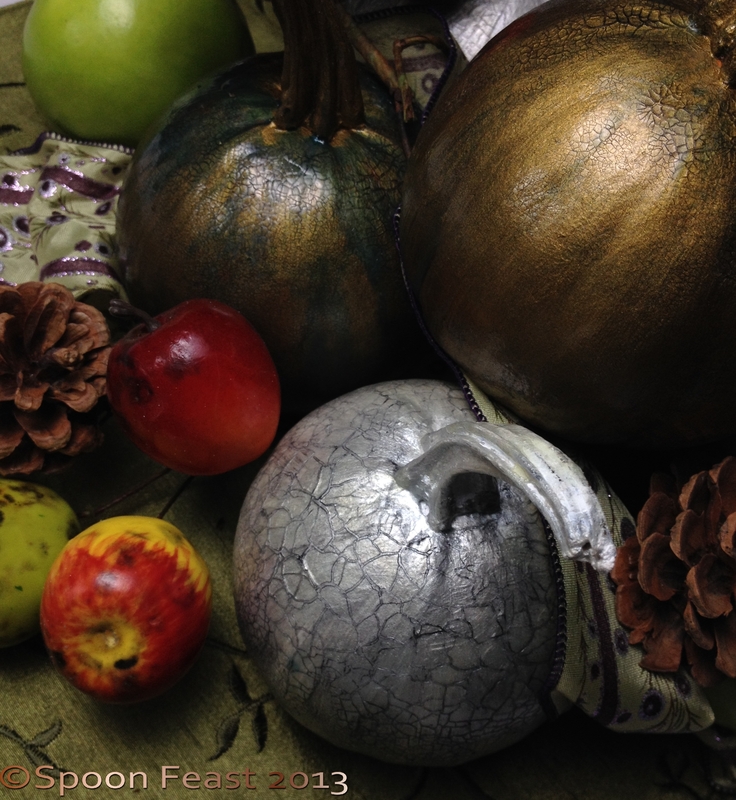 After the paint dried (three coats, thin ones) crackle glaze was applied and allowed to dry overnight. Then the next morning, I smothered them with Mod-Podge Gloss Medium to make them shine. After they were dry, I put them in the middle of another table arrangement. Personally, I think they dress up nicely for the holidays! 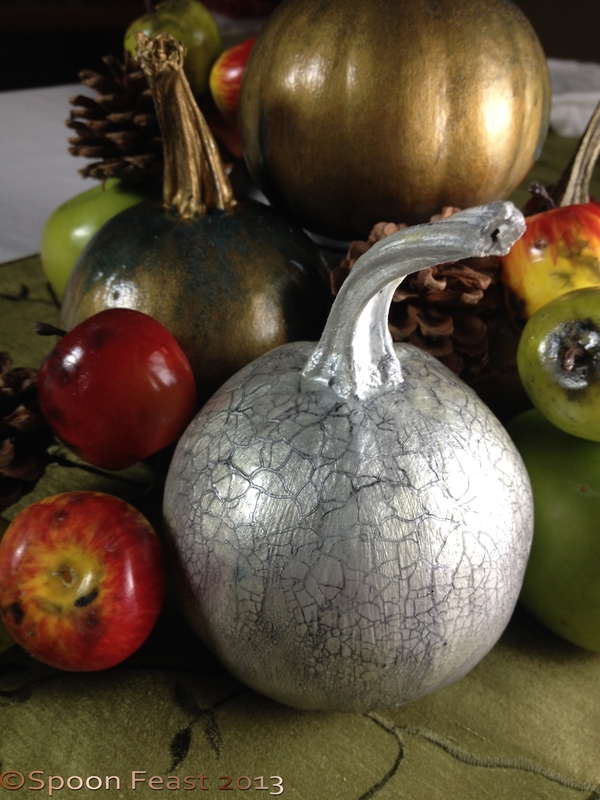 This entry was posted in Recipes and tagged Christmas, Do it yourself, Home, Painted Pumpkins. Bookmark the permalink. Hi Pamela, they sure did dress up nicely!